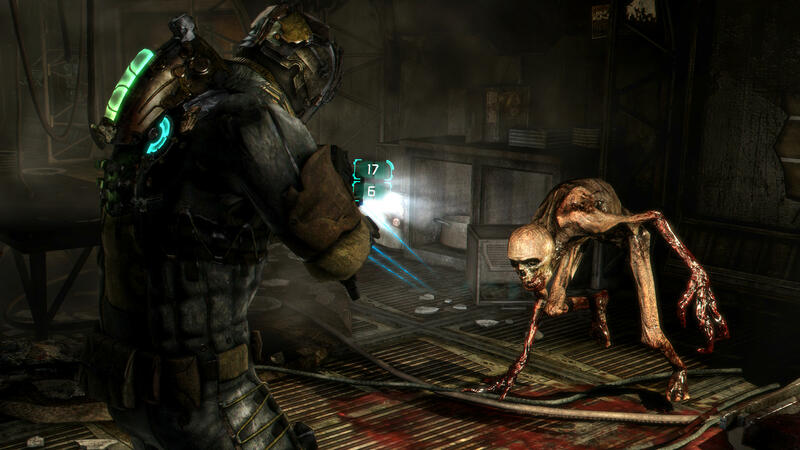 Continuing in this series of horror video game reviews, Thomas S. Flowers (author of last year’s spectacular Reinheit) has graciously offered his thoughts on one of my all-time favorite horror shooter games, Dead Space (2008). If you’re going to produce a horror game, the number one emotion you want to bedevil your victims with, I mean audiences, is dread… Not the “oh, I forgot to do my homework” or “oops, left my coffee mug sitting on top of my car and drove off” or “shoot, I wasn’t supposed to wear white after Labor Day” kinda dread. Nope. I’m talking absolute without question sitting on the edge of your seat wishing you’d never even started the game but oh so glad you did jumping at every clank and bump kinda dread. Dead Space invokes unequivocal said dread. Boom. Done. End of review! Okay… well, maybe I’ve got a few more words to say about such a wonderfully appalling piece of survival horror. 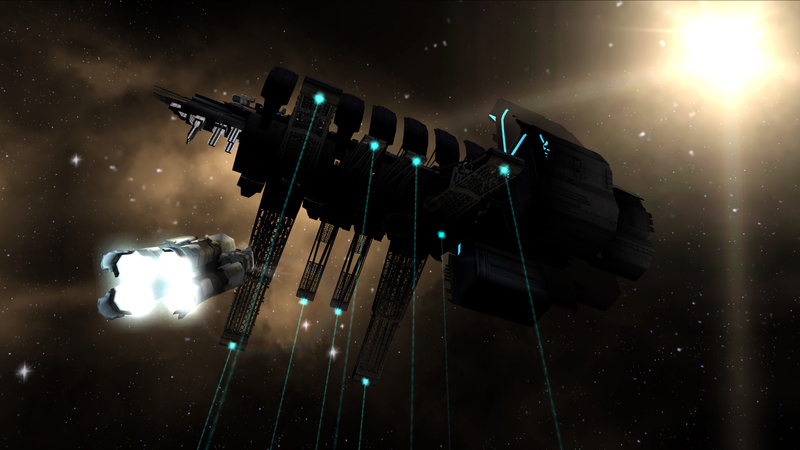 The year is 2508 or something (it’s the future) and the USG Kellion, including protagonist Isaac Clark and company, are dispatched to a distress beacon deployed by the USG Ishimura. The Ishimura so happens to be a giant, what they call, “planet-cracker.” So, basically we’re talking about a mining vessel. The plot thickens as you discover that not only has contact with the Ishimura been disabled, but Clark’s love interest also happens to be stationed on the aged ghost ship. Upon arrival, the Kellion experiences some guidance system issues and crash lands into one of Ishimura’s docks. This is a classic set up for sci-fi horror. A somewhat ode to horror films, such as Alien, Aliens and Event Horizon, to name a few. Though the stories in these works differ, the overarching theme of “be careful with what you’re looking for” rings true, because undeniably, “you may just find it.” Another classic horror trope is to separate the protagonist from everyone else. Isolation is a pillar of popular macabre. This especially works well in videogames. Clark does indeed become separated from his crew and throughout the game works his way through the ship repairing malfunctioning equipment and dismembering strange messed up alien lifeforms, known as: Necromorphs. Not to be confused with Xenomorphs from the Aliens franchise, Necromorphs are a beast all its own. 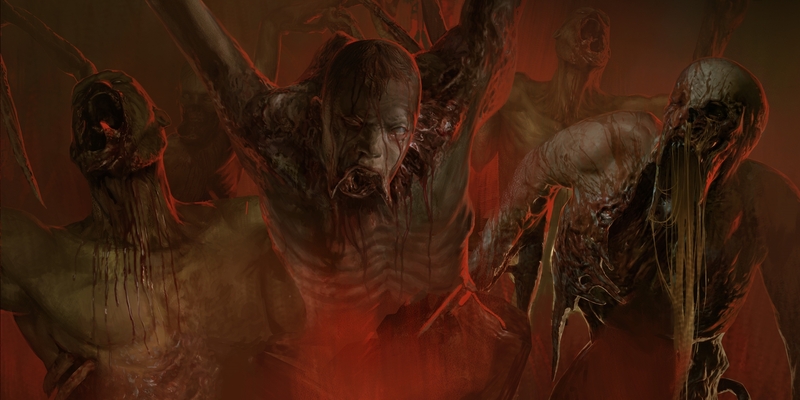 Necro, relating to corpses or death, and morphs, relating to change, or transformation. Getting a better image of the alien typography we’re hinting at here? An alien virus that mutates and reanimates human corpses, who in turn seek out the living, carrying the infectious virus with them. Not scary at all… Not. At . All. Along the way, Clark slowly discovers the fate of the crew within the seemingly abandoned Ishimura via data and audio logs while repairing and scouring for survivors. The plot takes a turn when Clark pieces together what the Ishimura discovered on Aegis VII, the planet surface they so happen to be mining, or “cracking”: the Marker, a sedulously important religious artifact belonging to the scripts of the Church of Unitology, which becomes the mysterious driving force for the remainder of the game. I won’t spoil to much too here, as I’m sure folks in Antarctica are still waiting to play it. But let me say that of the voluminous list of classic horror tropes used in the game, betrayal will be added to the list before the end is done. Oh, and throw in a psychotic break to boot. Fun stuff, right? You darn tooting! Dead Space should and ought to be a must play on whatever nerdy videogame list you’ve got. Especially if you’re into intense horror and survivor horror. Few horror games have ever truly terrified me. I can literally count them on one hand. That’s how few there are. And I’d wager that Dead Space was probably the more terrifying, because that word, dread, is so keenly applied throughout the story. Never have I played a game where I dreaded turning off the lights to play. And, just to be clear, you really need to wear headphones, so you can capture all the creepy sounds and gutter movements and sharp clanks of metal and thumps along the way. Seriously. I even dreaded playing it, even though I loved the damn game, simply because I knew something bad was going to happen and I’d be scared shitless. Silent Hill and Resident Evil had their day, and yes, they were pretty messed up and terrifying in a 1990’s kinda way. But Dead Space was a game on its own level. Never have I seen so many horror tropes in one story combined perfectly without fault. The isolation to the strange noises going on in the ventilation system to the deformed alien creatures to the crisp graphics and HUD displays to the discovery of the story itself to the crazed religious zealots all the way to the betrayal and psychotic episode it was all tuned flawlessly. Perhaps I’m talking the game up too much. Maybe, nearly a decade after its release, I’m feeling a bit nostalgic. Or maybe even the Marker itself has some kind of strange sway over me. Regardless, Dead Space is an epic masterpiece of horror worthy of your time. Thomas S. Flowers can be found at his blog, Machine Mean, and on Twitter @machinemeannow.